Jonathan's Blog. Life and dentistry combined! Monday marked my return to work and the start of a busy week. Obviously being away from work for 10 days meant that I was catching up a bit on problems that had occurred while I was away. By Wednesday I felt I was getting on top of things. I managed to fit some lovely crown and bridgework and have to say thanks to my dental laboratory Phoenix Dental Castings and Kestrel Dental Studios for the great work they have been producing for me and my patients. On Friday we had a business planning and coaching afternoon with Clare from Move Ahead Coaching. This was the culmination of several afternoon's work with the management team, we presented our vision, values and purpose to our team at the Spicer Road Dental Practice.I think the afternoon went well, we had some interesting conversations but I don't think we presented anything to radical or scary to our team. I'm looking forward to meeting Clare on Wednesday and getting the feedback from the session. The only minor flaw in the week was Wales losing to France in the Six Nations. Not sure that the game kicking off at 8pm on a Friday evening was a great idea. The atmosphere was amazing, Wales almost pulled a great comeback but France held on in the end. I think France are the strongest team in the Six Nations and have a good chance of winning the Grand Slam. This is a link to highlights of the game on BBC online here. Getting ready for my return to work. Today is the last day of my recovery following my operation. My convalescence hasn't been too bad, some discomfort for a few days but nothing that wasn't controlled using NSAIDs and paracetamol. I had a couple of minor nosebleeds but now I feel as if I have a mild head-cold. I've used the time away from work to do some dental reading, I have read a third of Dawson's tome on occlusion. Its an interesting, detailed read on a complicated topic. If all goes well I will attend their second lecture course later in the year. 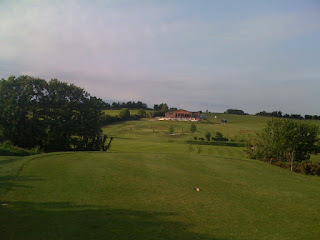 This morning I played golf at Exminster Golf Centre, it was a cold and somewhat frosty morning. I played reasonably well, scored one birdie with a slightly lucky chip in from fifteen yards but a two is a two and it is the score on the card that matters! This afternoon I have a one to one at the local Apple store, looking forward to getting to grips with aperture 2 and learning about editing my photographs with this fantastic tool. 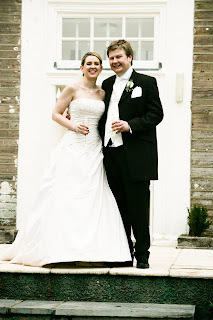 The week ahead marks Rebecca and My second wedding anniversary, time has flown by. We've had our ups and downs but I feel we are extremely happy together. 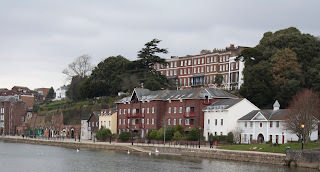 Looking forward to our anniversary dinner at the Royal Clarence in Exeter tomorrow. Our wedding pictures were taken by Studio 5 photography in Teignmouth and they did a brilliant job on our photos and are great people. The start of a week of recuperation. So I'm sitting at home on the first working day after my operation. I feel generally good, a little bit of post operative pain but nothing that isn't controlled with paracetamol. I generally feel like I have a heavy head cold but no worse than that, and I was told by the surgeon that this was what to expect. This morning Rebecca and I took a quick trip into town, we made it in and town was fairly quiet. 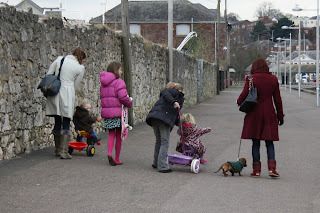 By the time we left the half term hoards had descended and all the car parks looked busy. I'm taking the chance to catch up on some journal reading. I read a brilliant article in Dental Update. It was this month's guest leader by Martin Kelleher. In this article he discussed whether dentists as a group of professionals were doing the right thing by sacrificing sound enamel to cater for patients who wanted to improve the appearance of their teeth using veneers or crowns. In a provocative article, he argued that dentists were/are being seduced by dental material manufacturers into offering quick fixes for our patients by removing sound enamel and providing crowns. It also discussed the fact that our patients may not understand or did not have explained the long term consequences of having crowns or veneers. He argued the need for dentists to offer more conservative treatment options such as bonding with composite and/or tooth whitening. and also that we should have a fall back position, because in the end all dental treatments have the potential for failure. I enjoyed this article and would recommend it to anyone practicing dentistry, it can be found in Dental Update in the January/February 2010 edition. There is plenty of content here to ponder. A walk on the Quay. So finally I went into hospital on Wednesday. My septoplasty on my nose was finally carried out. Not too many ill effects after the operation, I feel a little tired but generally good. My nose feels like I have a heavy cold, but unfortunately I can't blow it because it is filled with large amounts of blood clot at present. 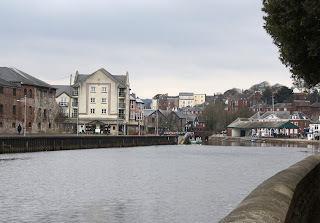 Today, decided to go out for a walk on Exeter Quay. 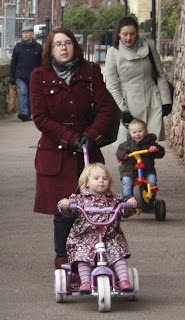 Rebecca and I met up with her sister and the kids and went for a longish walk on Exeter Quay. 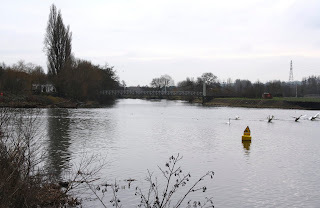 The weather was dry, if a little overcast, and the temperature could best be described as bracing, but we all had an enjoyable morning. I've taken a few photographs and have edited them hope you like. Weekend TV, I take over new TV critics job for a day. Saturday night marked my second evening in a row left home alone with the dog, so for a change I had control of the TV and DVD for the night. 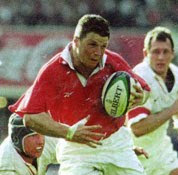 Saturday marked the beginning of the Six Nations Rugby. The afternoon game was Ireland vs Italy, this was a rather turgid and boring affair resulting in an easy win for Ireland. The evening marked the start of the important game, Wales vs england at Twickenham. Before kick the teams and crowd made a moving tribute to the late great Bill Mclaren. There's a great tribute on You Tube which I've posted. The encounter between England and wales was won by England. This was a much more exciting game with some great passages of play by both sides. Wales gave away an unnecessary sin bin late in the first half, God only knows what Alun-Wyn Jones was thinking. This passage of play allowed England to score two unanswered tries. wales came back in the next quarter of the game but England scored a late breakaway try to win by 30-17. I'll take this chance to praise a TV documentary I watched this week; Chemistry- A volatile history. This programme described the history of the great pioneers of chemistry during the 19th and 20th centuries. The programme brought to life loads of the concepts I learnt whilst studying A level Chemistry. I wish I had seen a programme like this whilst I was studying, sometimes abstract and difficult concepts were brought to life, a brilliant programme. I also managed to watch Quantum of Solace. This is Daniel Craig's second outing as James Bond. The film was action packed but was slightly devoid of plot. Some of the set pieces were amazing but unlike some of Bonds previous incarnations this definitely wasn't cheesy. Sunday I managed to play golf, a nine hole stable-ford at my local club. I scored 20 points and clinched third place, my best performance in a competition so far. Hope my streak continues. Another busy week this week. I am trying to get ahead on some treatments prior to me going into hospital next Wednesday. This is the third time I have been called for admission, I've been cancelled on two previous occasions, maybe this time my third I will actually get in and finally get my septoplasty. After all I am Welsh and as they say third time lucky for a Welshman. Some sad news at the practice today, one of our hygienists who has been at the practice for 32 years has decided to hang up her scalers and retire. Fiona is a great character and has been a massive asset for our team and she will be greatly missed. We all wish her all the best in her retirement which will begin in three months. Looking ahead to the weekend, the Six Nations starts and the big match is the first one, Wales vs England, can Wales make it three in a row against England? Looking forward to some great rugby.